Each month we try to give a free MultiTrack Pro Wav backing track away. This is always subject to permissions from writers and publishers for gratis use. This month's free track is a really nice variation on the classic hymn "O For A Thousand Tongues”. It takes the classic melody in 6/8 timing and adds a simple refrain, which helps it neatly fit into any contemporary worship set. The song itself comes from Mark Snyder and Jeff McCullough and their independent worship project called the Tree Hill Collective, based in Pheonix, AZ. We hope you enjoy and find it a useful addition to your song catalogue. Thanks to Mark for also providing the chord chart as a free download. 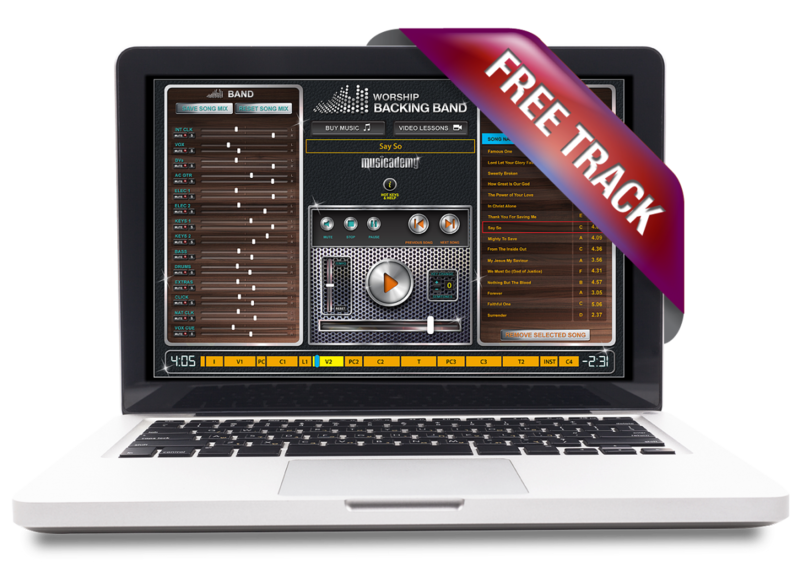 You will need a copy of Worship Backing Band's MultiTrack Pro Wav Player to play the backing track. MultiTrack is the simplest and least expensive solution to get a full band sound from your worship team, even if you’ve only got a couple of musicians.